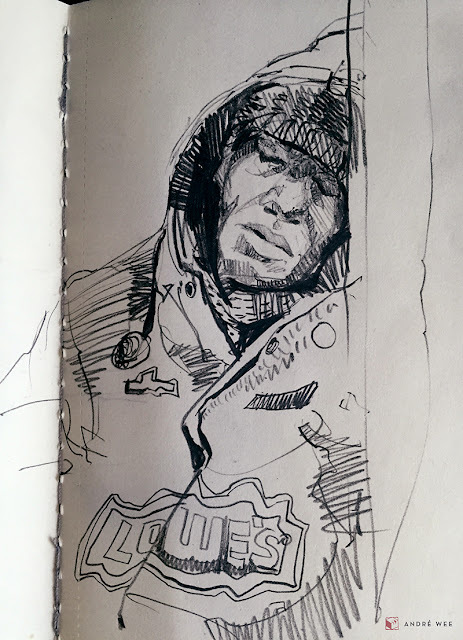 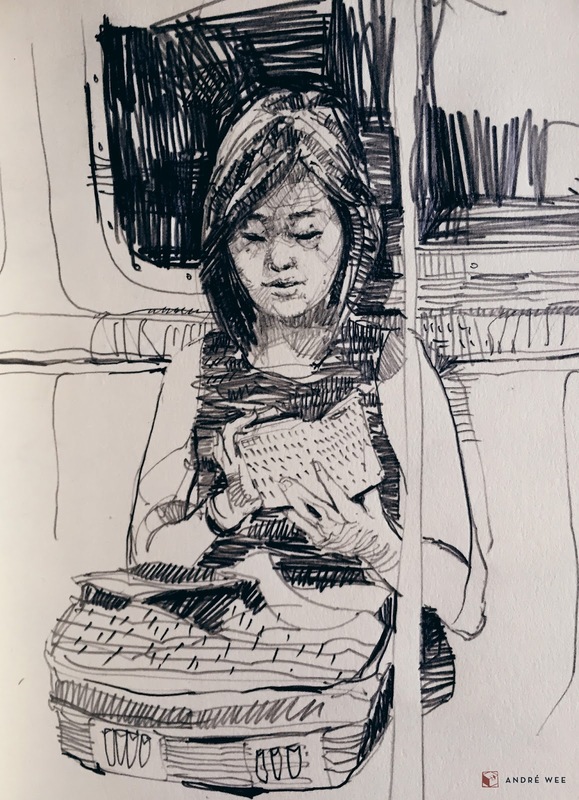 Scribbling and dotting into a sketchbook, while trying not to make a scene, has become an almost daily activity for me while commuting between Manhattan and Brooklyn. 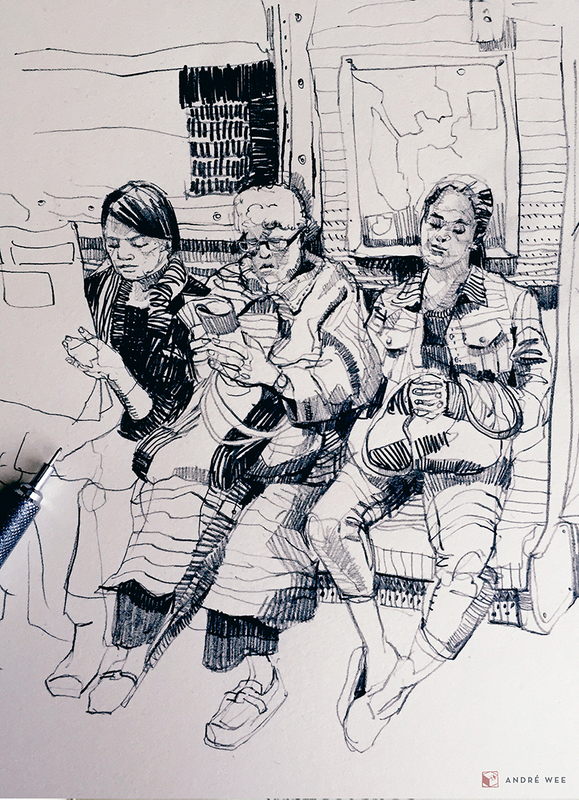 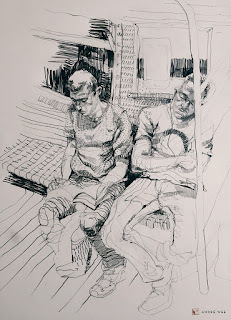 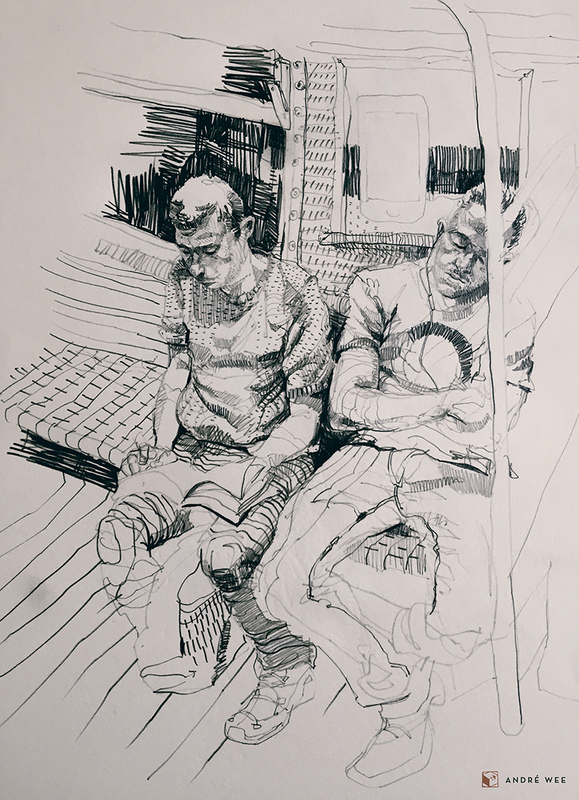 Over the past 2 months, I have started turning my train ride into my own ‘private’ drawing playground. 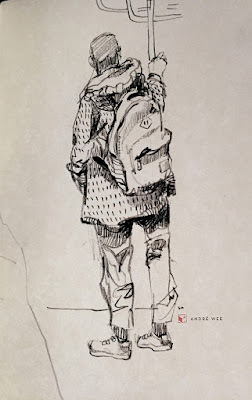 This is my first post here and I am excited to share with you some of the sketches that happened between stops. Despite beeping announcements, screeching brakes, and the low hum of the train’s vibrations, passengers have their private spaces. 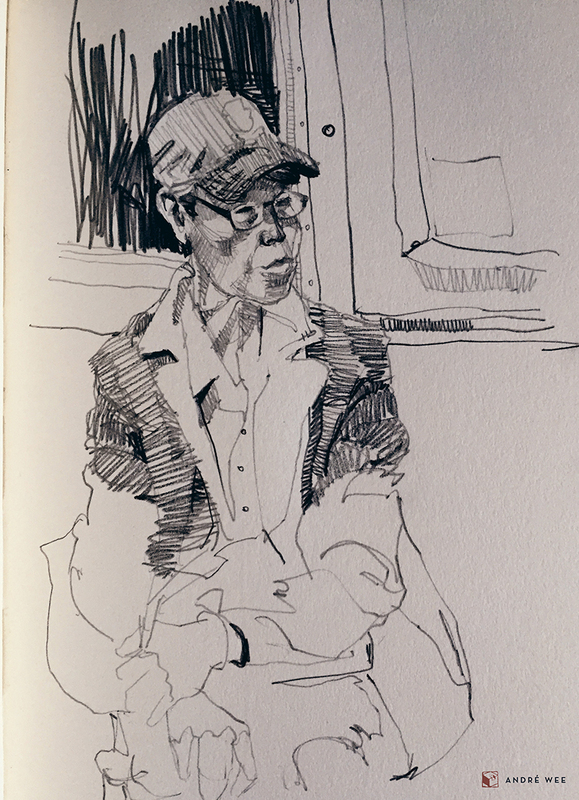 I think that the best part about sketching on a train is that I have an endless supply of people from all walks of life. 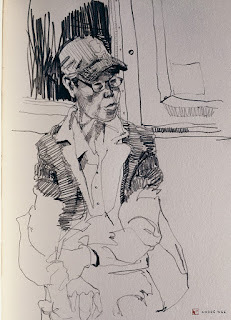 The variety of postures, mannerisms, features and dress keep me entertained and excited. 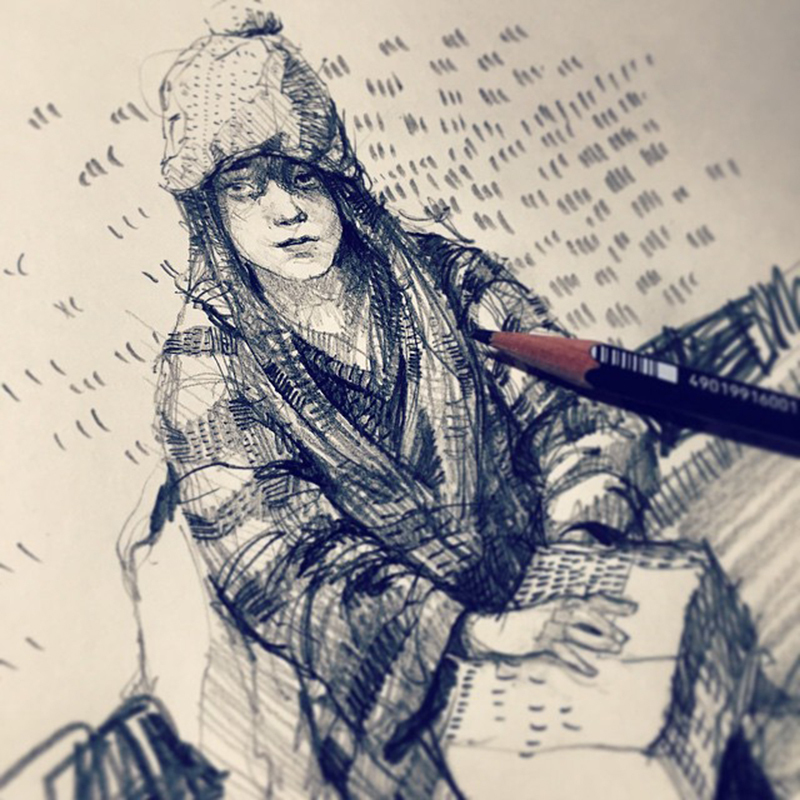 The best sitters are those who are getting some shut eye. 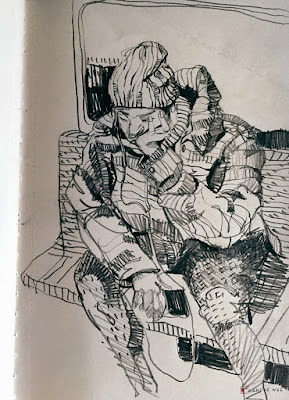 They tend not to fidget and there is a higher probability that they will be around for more than 2 stops! 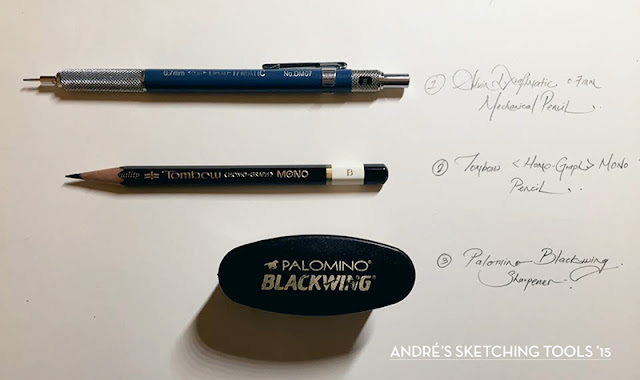 My usual art kit for sketching-on-the-move consists of an Alvin Mechanical pencil, a Tombow pencil and my favourite sharpener, the Palomino Blackwing!